You may be wondering, why would you want to switch to insulin pens if you’re already on an insulin pump?! Valid question. There are actually many scenarios in which an insulin pen is a little bit easier to manage than a pump. These include, days trip to water-parks, chilling in the hot springs, mud baths of Chile, Vietnam and Iceland (among many others), a day at the beach, swimming, surfing or you simply want a pump holiday/vacation. Life with an insulin pump can sometimes get a little overwhelming. Not everyone enjoys being attached to something 24 hours a day, 365 days a year, so there is really nothing wrong with taking a little break and enjoying the “freedom” of injections. I’ve gone without my pump for 4 days at the most, but I often switch to insulin pens if it’s more convenient, i.e at the particular events above. The important thing to remember that when you are making a switch, the chances are, you are going to need more insulin via pens than you have received via an insulin pump. This is because the insulin pump has been fine-tuned to the hour of what doses your body needs. You simply can’t get that same consistency from an insulin injection, so you usually need more to get the same effect. Also remember that fast-acting insulin has a short lifetime. Most typically peak and finish around 4 hours (depending on the brand of course), but this means you’re going to get your background insulin too. Don’t be mistaken and think that your background insulin dose should simply be the total of your background basal rate from your pump. That won’t be enough (on most occasions), this is why it’s important that you should discuss the switch or holiday with your diabetes specialist nurse before you actually do it. They can advise you on how much to increase your insulin by and what precautions to take. How do I switch from an insulin pump to pen? From an insulin pump...to these! I’ll give you advice on how I do it. This isn’t medical advice, it simply works for me. But this is under the advice from my diabetes specialist nurse beforehand. Below are some tips and guidance on how to switch from an insulin pump to pens. You will need to monitor more frequently as your body adjust to this new change. It's important to always keep a record of your current pump settings (you don't want all that hard work gone to waste!) Don’t rely on your doctor or nurse to have all your data up-to-date. Short term switch- for a day. This is suitable for those days when an insulin pump is inconvenient, such as surfing, swimming, at a water-park etc. The duration is typically 24 hours or less. In this case, you need to give your short-acting insulin every three to four hours. Depending on the “life” of your insulin. If it literally a case of, you’re at the water-park from 9 am until 5 pm, then don’t give yourself any background insulin in the form of “Lantus”, this is because these insulin typically last 24 hours, and you will have to wait until that is out of your system before you can safely put your insulin pump on without risking a hypo. Once your day of fun is finished, you can pop your insulin pump back on. Make sure the last bolus of fast acting insulin is out of your body. i.e, wait 3-4 hours from your last bolus before you return the insulin pump to your body. Anything longer than 24 hours is going to require background insulin, so it’s considered a long-term switch. This is for those who are taking a “pump holiday”. 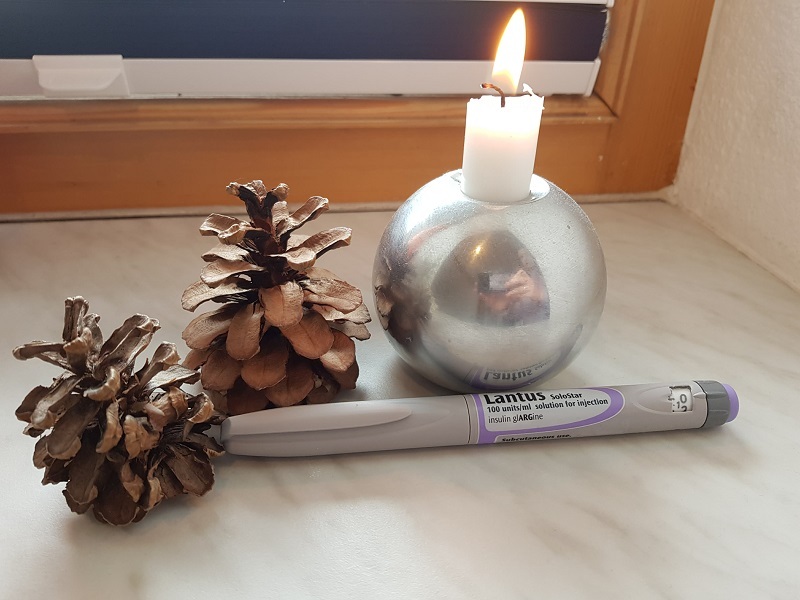 Give long-acting insulin (Lantus or Levemir) as basal, and rapid insulin for boluses (you should discuss with your doctor the amount of background insulin you need- typically its around 10-20% more BUT always check with your doctor first). Give rapid-acting insulin every four hours including overnight, just like you would in the short term example….the only real issue here is, you will have to set alarms and wake up every four hours during the night. This is extremely important to do, as since you have no background insulin, your body will quickly drop into DKA once it runs out of insulin. If you do not have access to a doctor before you make the switch, then for your background insulin dose, you should simply calculate the total basal rate on your pump and give that. This may not be correct, but if it’s only for a short period of time, it’s not the end of the world. Be aware of what you are physically doing, as your insulin may need to be decreased for activities. When you revert back to your insulin pump, double-check all the settings on the pump and the battery before you reconnect. 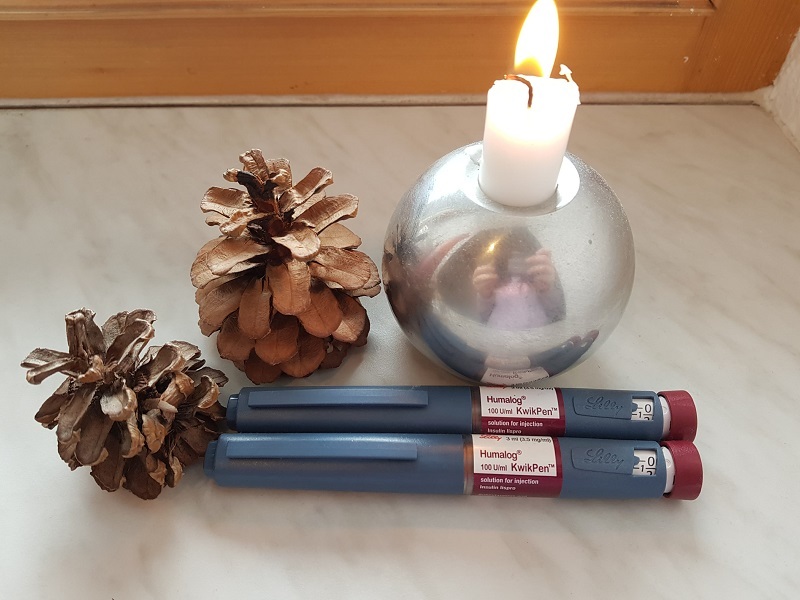 Regardless of whether you are choosing to make a switch to insulin pens, you should always carry insulin pens as a precaution for you whilst traveling. An insulin pump is still only a piece of technology and it can’t be completely relied on (like all technology!) so it’s good to be aware of how to make the switch in the event your insulin pump dies. 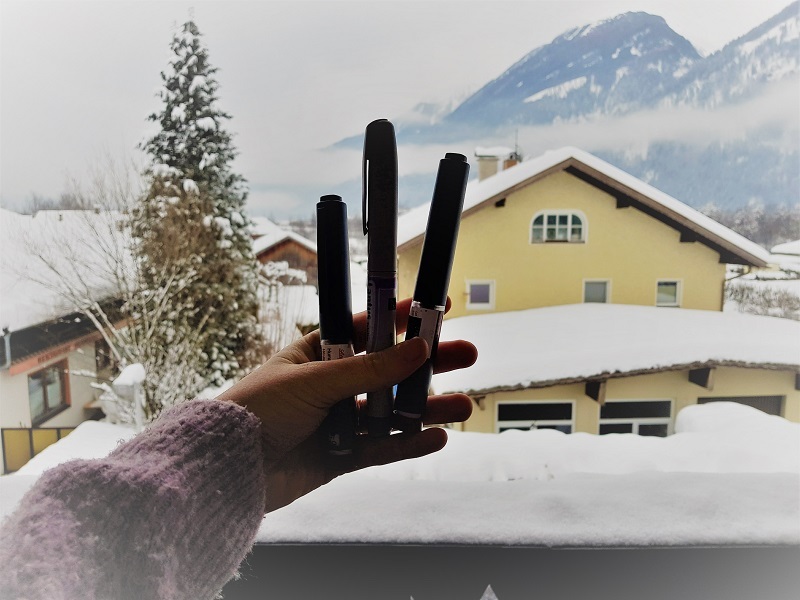 Always carry insulin pens with you on your trip- even if you're on a pump! I hope you’ve found this information useful! Remember you can have all this information AND LOTS MORE in one place when you purchase the E-book. 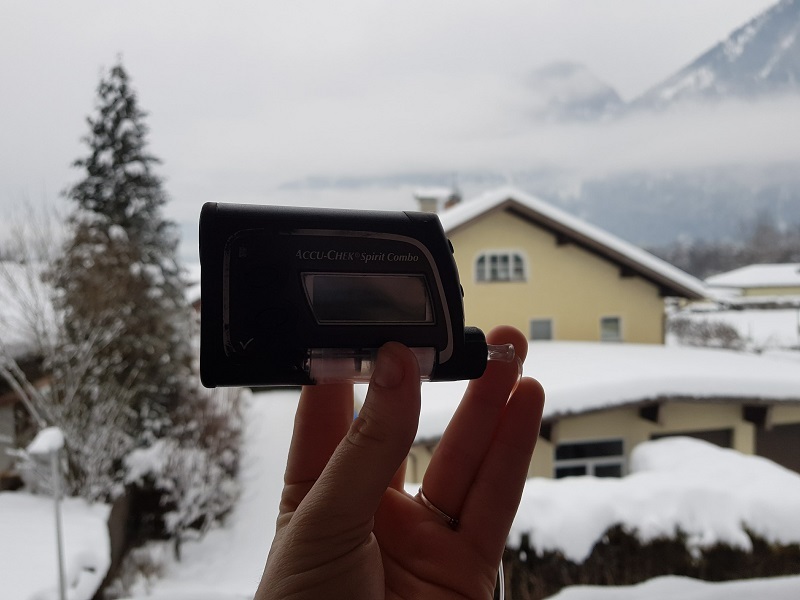 It’s your ultimate guide to travelling the world with type 1 diabetes.